The Spirit Fitness Chest Press / Pec fly is part of the Spirit Fitness Dual Function Strength Commercial range of fitness equipment.This Spirit Fitness chest press pec fly station is a high quality piece of training equipment, boasting a host of attractive features. The user can personalise the exercise starting point with Foot Assist which advaces the press arm, making entry and exit simple. And the Spirit Chest Press offers a new level of comfort into the bargain. Dual handgrips allow muscle targeting and this machine has gas assisted seat adjustment with nylon inserts to make getting your seat into the right poistion is effortless.Self adjusting Pec Fly arms automatically adjust to accommodate any users arm span. The pec fly also features 4 settings to ensure the proper start position for any level of flexibility. 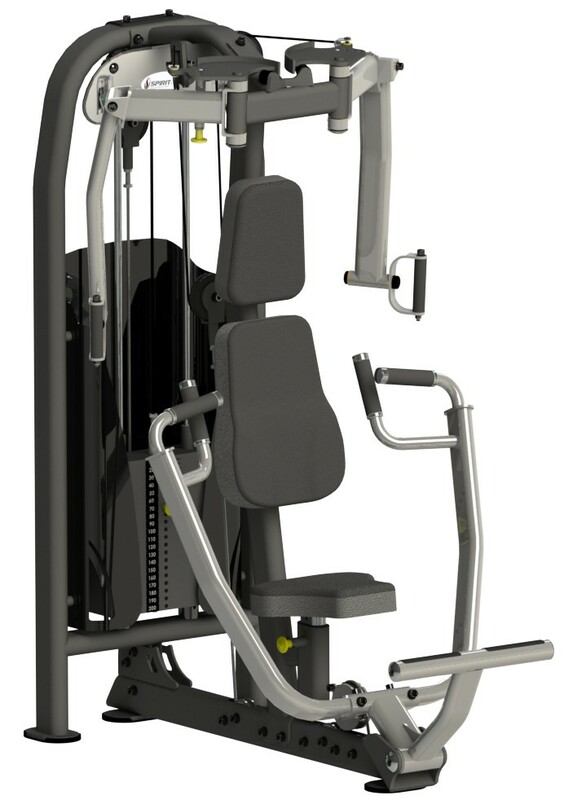 High quality components and construction, ergonomic design and delightful aesthetic styling, the Spirit Fitness Chest Press / Pec Fly is a piece of gym equipment that merits serious consideration.